Adi Lusiana Lagillevu has been named to captain the Vodafone Fiji national under 16 girls’ team for OFC Championship in Samoa. 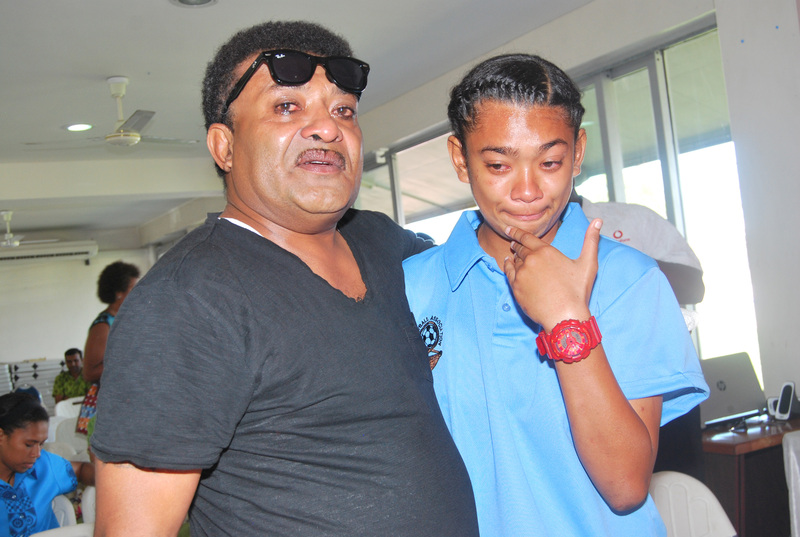 She could not hold back her tears when the announcement was made last Friday at Fiji FA Headquarters in Vatuwaqa. She said she was surprised to be named the captain because she did not expect it. ‘I am really surprised to be given the huge role but will do my best to lead the team, “She said. Lagilevu is looking forward to the challenge and will be working hard with the team. She said as captain she had a big role to play but at the end of the day whatever happens in Samoa would be a team effort. “I am nervous and that is something that I cannot hide because it is a tough challenge having to play and also be a role model to the girls. “Preparations for us have not been easy, there was a lot we had to go through but I am proud of the girls for managing to overcome the odds. The passion to play football runs in the blood. Her dad Clyde Lagilevu, a former Ba and national rep, pushed her and taught her to become the player she is today. “I am overwhelmed and I just can’t express how happy I am with what she has achieved, “Clyde said. “She is willing to learn and I think that is what all players need. Regardless of whether you know football or not you must prepare to learn at all times. Clyde said her daughter would be an inspiration to her younger brothers as she was eldest and she would definitely set the bar for them to achieve their dreams and work hard.